We see a future in our past. We invite you to visit our History Center & Museum located at 40 Wilbur Street. It’s housed in the City of Lake Oswego’s last remaining Iron Company Worker’s Cottage. The circa 1880 building is the oldest house in Lake Oswego that is open to the public. Admission is free! We invite you to watch local television coverage of the museum and find out about the museum on TripAdvisor. 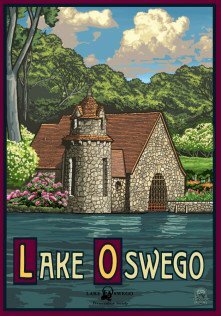 The Lake Oswego Preservation Society is a mission-driven, fiscally responsible 501(c)(3) non-profit organization. Our mission is: To support Lake Oswego’s historic fabric through advocacy and education. We strive for excellence and accuracy in all that we do, while constantly focusing on how we can contribute to our community. No other organization does what we do for Lake Oswego. 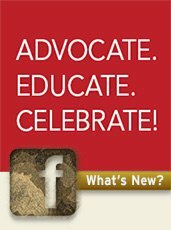 Receive our free quarterly newsletter and updates on Society events. My vision was to create an organization to advocate for the triple bottom line benefits—social, economic, and environmental—of preserving our unique built heritage as well as having a strong, researched-based focus on education. In the relatively brief time since founding the non-profit Lake Oswego Preservation Society in 2011, hard work, meticulous research, creative thinking, vision, and land use advocacy along with dedicated volunteers, generous members, granting organizations, and other supporters and friends have contributed to realizing this goal. May our current community, and future Lake Oswego citizens enjoy the fruits of all of our labors on behalf of the place that we love. The Lake Oswego Preservation Society is an all-volunteer organization; 100% of the donations we receive are dedicated to our mission. Do you see a future in our past? If so, please support the work of the Society and help make a positive impact on our community. If we don’t save our history, who will? Your contribution—no matter the amount—makes a difference! The Society does not have paid staff and we don’t own a building so 100 percent of your donation is dedicated to our mission. Together we will make a difference! 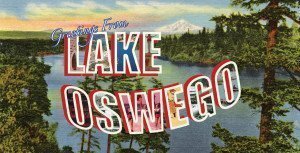 Please send a check, made out to the Lake Oswego Preservation Society, or use the secure PayPal option to make your donation with a credit or debit card or from your bank account. There is also an option for setting up monthly giving via PayPal.